Regenerated Plastic Sheet pallets, Offered by us, are made from recycled waste using cutting edge technology. Known for high strength, excellent heat & water resistance, sturdy-built and high durability, our Regenerated plastic sheet pallets are ideal for stacking Heavy Load material. We are the leading supplier and manufacturer of Regenerated plastic sheet Pallet from India. 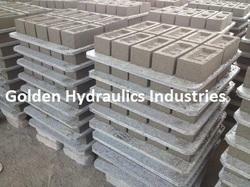 We are manufacturer of brick pallets. In india so many Brick & paver Block manufacturers which are using plywood,wood,replaced with these pallets very successfully & satisfactory. 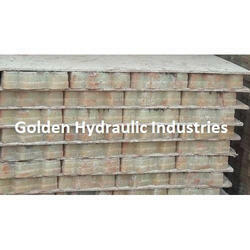 Pallets are available in thickness 6,8,12,16,18,25 mm size as per required.